Update on Brody, he has lost a little more weight and is close to 14 lbs. 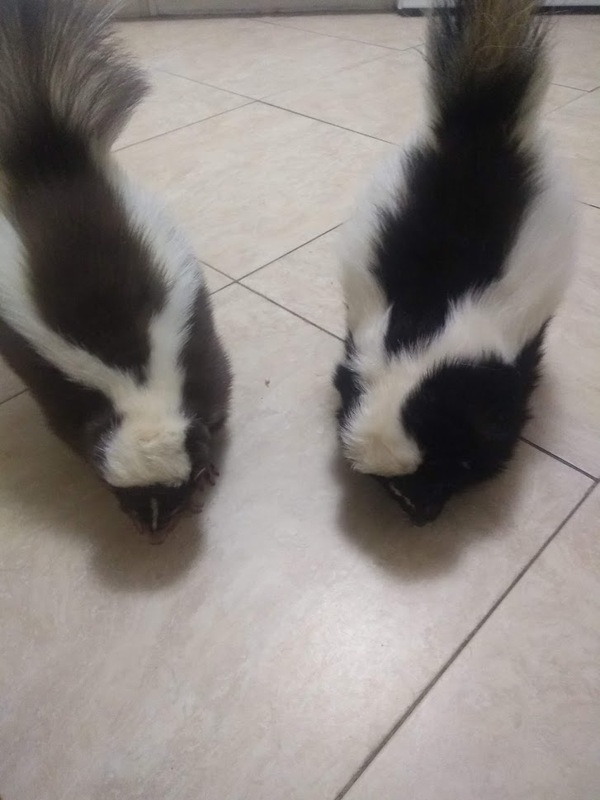 Brody nows looks like a skunk, instead of a round ball. He can do pretty much anything now, including standing upright on his back legs. He loves to run and is a long way from the pitiful fellow who couldn't walk more than a few steps without resting. I can't wait to get him neutered! Since he is more active, he finds more places to mark with urine. He is still quite chubby and carries a lot of his weight in his belly. Also, notice all the discoloration is gone from his fur. He completely blew his coat which hasn't all grown back yet. Ok, long time no update on Brody. In December 2017 Brody was 10lbs. By early 2018 he had reached 8.5 lbs and is holding steady. He is the happiest skunk ever and runs everywhere even if he is going a short distance. Standing on his hind legs delights him. The Vet agreed to neuter him when he was 11 pounds even though it is more dangerous to do surgery on an overweight animal. Brody really needed to be able to join the family rather than just watch them through the gate. It took a while to get the aggression out but now he is very sweet! He loves his back rubs which is good because his bones are permanently damaged from extreme obesity. Brody is most likely 3 years old. His first year was lost as he was too fat to run and play. As soon as he was able, he started making up for lost time and now has the skunkie moves down stomping and whirling around. Here is a recent picture of him with Zedd, my brown boy who is the same age. If you look back at the previous pictures, you can see how far he has come.